Leaving aside an open fire, a gas hob is among the oldest varieties of cooking apparatus still available today. It works by emitting a steady stream of flammable gas, which, once ignited, can be used for cooking. While once you’d need to ignite the gas yourself using a match or a lighter, gas hobs now come with an electric ignition – and, as we’ll see, this isn’t the only innovation that modern gas hobs enjoy. Let’s take a closer look at this enduring and effective technology. Of all the different sorts of hob, gas hobs are arguably the most intuitive. You turn it on, hear those sharp cracks and, once the gas has ignited, you’re able to easily adjust the dial to the desired heat. You’ll be able to see (and feel) when you reach the desired temperature, and after a few uses you’ll understand instinctively what size of flame will achieve the desired temperature. What’s more, a gas hob will reach that temperature instantaneously – dial it up slightly and you’ll almost immediately be able to hear your steak sizzle, or see your sauce bubble more violently; turn it off and the cooking will come to an abrupt halt. The gas hob has acquired iconic status – and so they remain a popular choice for many chefs. In some vintage kitchens, more recently-developed hob technologies might look out of place – but a gas hob will fit in perfectly. While it’s a consideration that comes second to more practical ones, it’s still an important one from an interior design point of view – as a cooker will form the centrepiece of any oven. 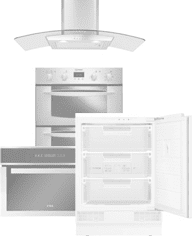 Generally speaking, gas hobs are not only cheaper to buy than many other options – ceramic and induction hobs for instance – they’re also cheaper to run, with a gas hob costing around 4 pence per meal compared with 11 and 8 pence for electric and induction electric hobs respectively. These savings, over time, can add up to tens of pounds over the course of a year – and hundreds over the lifespan of a hob. Whenever we’re dealing with flammable gas, there’s a safety hazard – you certainly won’t want to operate a gas hob while you’re wearing something with long, billowing sleeves. You’ll also want to avoid cooking while under the influence of alcohol – however much you might crave a steak after a night out. But perhaps the greater danger stems from poisonous carbon monoxide, which is produced when the flame isn’t receiving adequate oxygen, or when the gas itself is leaking before it ever reaches the flame. When it reaches your bloodstream, it will react with the haemoglobin in your blood and prevent it from carrying oxygen – which is very bad news for all of the cells in your body. In a properly ventilated kitchen with a functioning cooker hood, the risks will be much reduced – but if you want peace of mind, then consider investing in a carbon monoxide detector alongside your gas hob. It’s also worth keeping an eye out for yellow flames from your hob, which might indicate that there is too much carbon monoxide in the atmosphere. This is usually symptomatic of a lack of ventilation. Despite the risk, gas leaks are mercifully rare, and tend to occur in older hobs that were constructed using laxer standards – a modern gas hob will provide robust protection against such leaks. When compared with their electric cousins, gas hobs are far trickier to clean. They consist of several slightly-raised emitters, each with a heat-absorbing metal platter on the top, and usually a metal rack which suspends pots and pans a few centimetres above the flame itself. When you’re cleaning your hob, you’ll need to clean each of these components – which is a finicky and potentially time-consuming task. 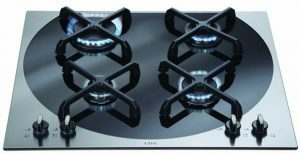 Expert advice available on our fantastic range of gas hobs. In stock for free & fast delivery when you buy online today! While anyone is allowed to fit a gas hob into the workspace, only a Gas Safe registered engineer can connect it to the gas. Does a gas hob need a certificate? In England and Wales, building regulations demand that your local authority be notified whenever you install a flame-producing device like a gas hob. You’ll then receive a certificate, which you’ll need if you come to re-mortgage or sell your property – and if you want to avoid a hefty fine. You’ll have thirty days from the day of installation to notify your location authority. 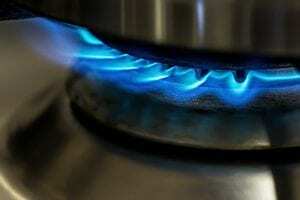 Does a gas hob need an electrical supply? 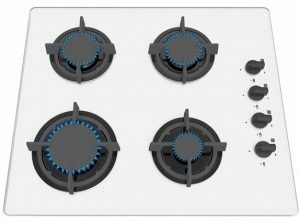 A gas hob will still need an electrical means of igniting the gas, and so supply of electricity will still be necessary. The ignition system and timer on your cooker will need a 13-amp supply, so be sure that you have one within a metre or so of your cooker. Where can I install my hob? When deciding the location for your hob, you’ll need to be sure that there are no combustible materials, power points, switches or boilers overhead. That means that wallpaper and wooden cabinets will need to be cleared away beforehand. If you’re not fitting an entirely new kitchen, the best option is to simply install your hob into the space vacated by your last one. If you’re installing a new hob that’s larger than your old one, you’ll need to move any overhead cupboards or other items in order to accommodate it. When you’re fitting the hob, there’s the potential for error. Since you’ll be dealing with gas, the consequences of those mistakes can be costly – and even dangerous. The best option for those uncertain about fitting the hob is to secure the services of a reputable tradesman to do the job on your behalf – and provide all of the relevant legal notifications, too. Check the gas safe register to find engineers – and ask to see their Gas Safe card if you’ve any doubts. Any engineer that attempts to carry out work without accreditation is committing a crime – as are you if you knowingly allow them to do so.